A mini classic woven French market basket with shoulder length handles in sisal and a leather finish on the shoulder. Can be worn as a shoulder handbag or an everyday basket. 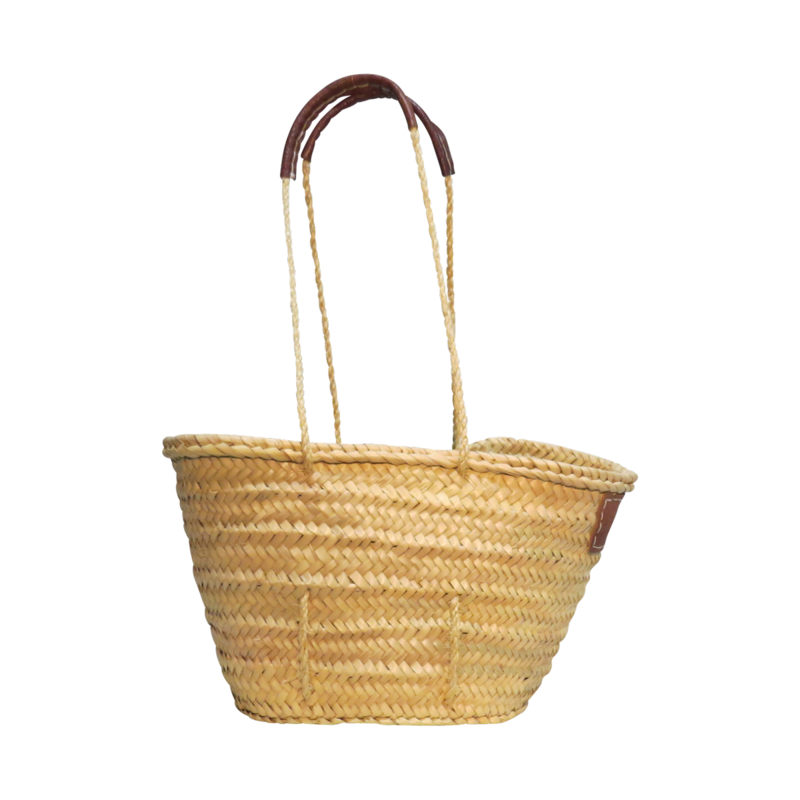 Most popular as a beach basket or shopping basket and a great alternative to the shopping bag as it is like a straw basket but woven from palm leaves so very strong and sustainable. Perfect to take to the farmer's market or use as home storage. Available for wholesale and retail.